The number of companies with telework programs is increasing every day, and we continue to find more legitimate work from home opportunities for YOU (or your friends and family). Following is the newest batch of 416+ jobs for you to review and share! Click here to see their work from home jobs. 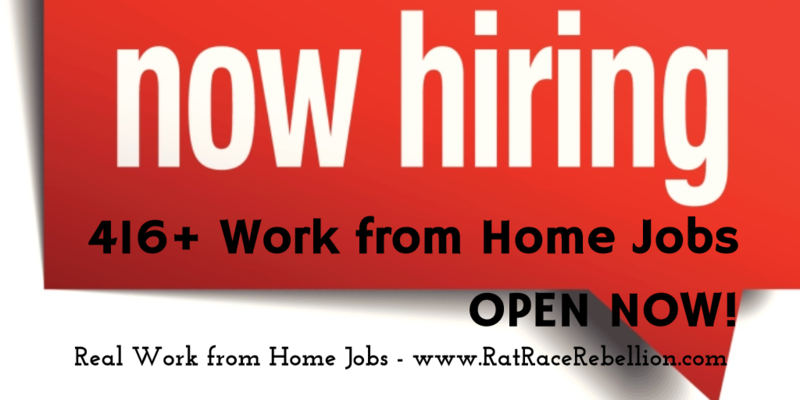 Click here to see their work from home jobs. Enter “work from home” (in quotes) in the Job Description Keywords field, then click the “Search for Jobs” button at the bottom of the form. Types of jobs: business analysts, nurses, care coordinator, etc. Click here to see their work from home jobs. Click the “Search openings” link, enter the word VIRTUAL in the “Keyword” field, click the Search button at the bottom of the form. Click here to see their work from home jobs. Select “Remote, Global” from the “Countries” menu, then click the “Start” button at the bottom of the page. Click here to see their work from home jobs. Click on “Advanced Options” and type REMOTE in the “Keywords” field, click the “Search Jobs” button.